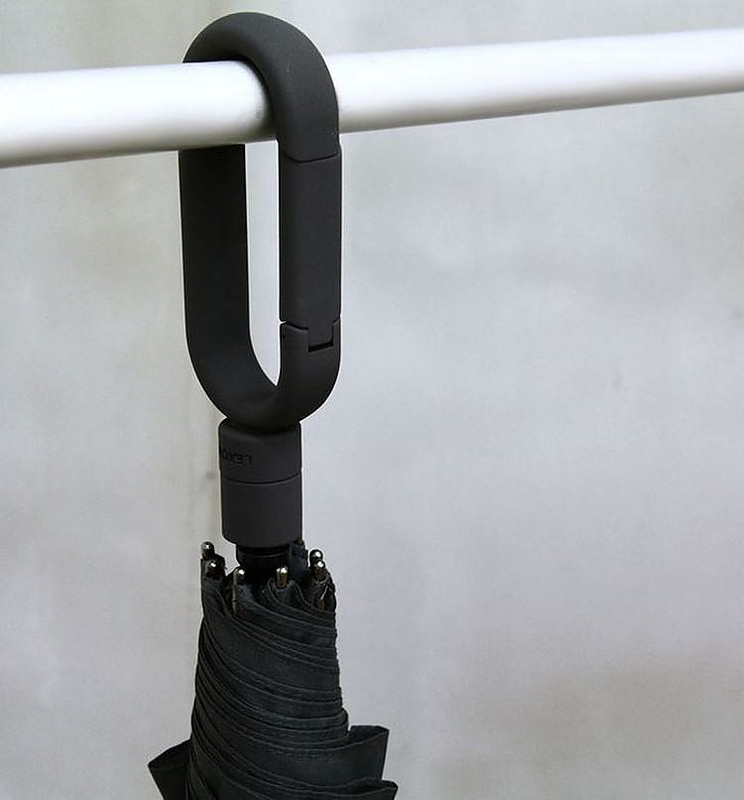 Mini Hook is a superlight automatic umbrella, designed by Theo Williams for French brand LEXON. 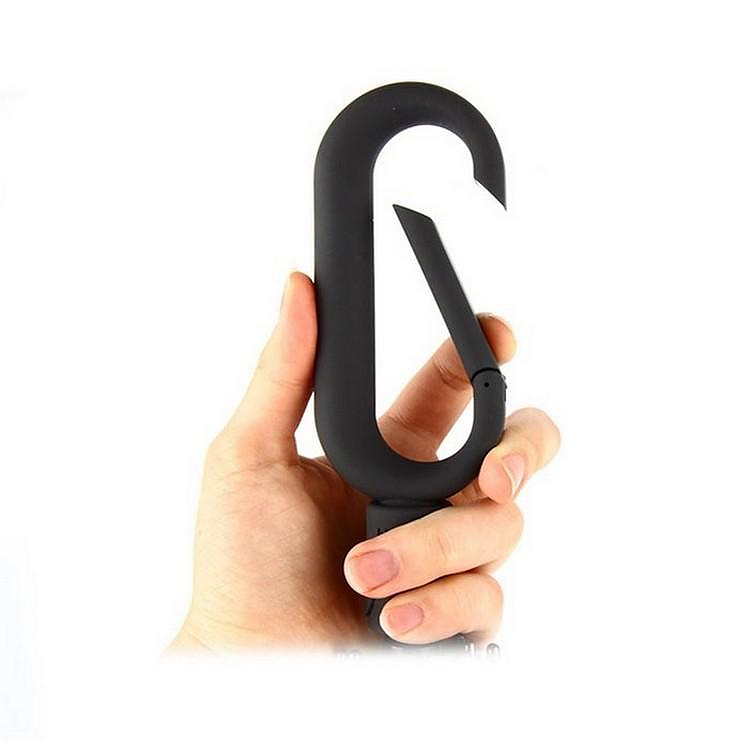 Small in size, sleek and foldable, Mini Hook does not need much of the precious space in your bag and will become one of your necessary everyday accessories. 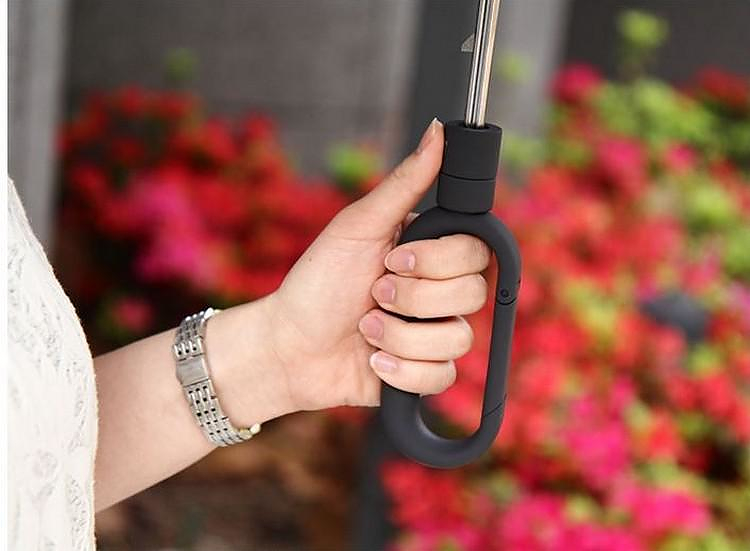 The most exciting feature of Mini Hook umbrella is its unique handle. 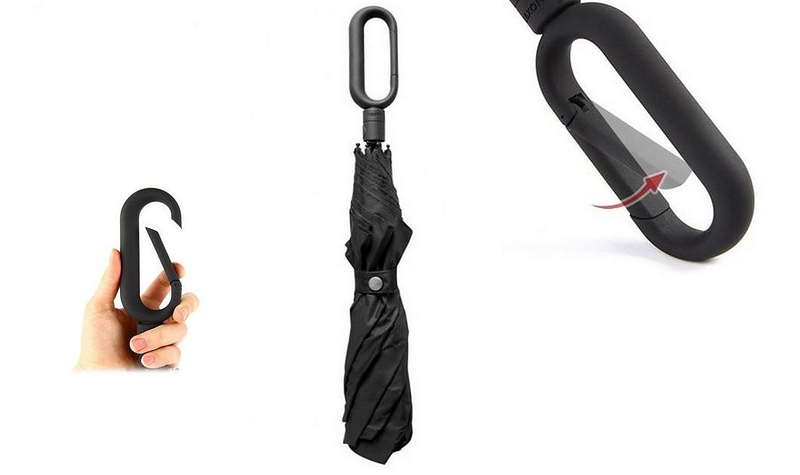 Made from rubber in the shape of a hook the handle of the umbrella is pleasant to the touch and easy to hold firmly. 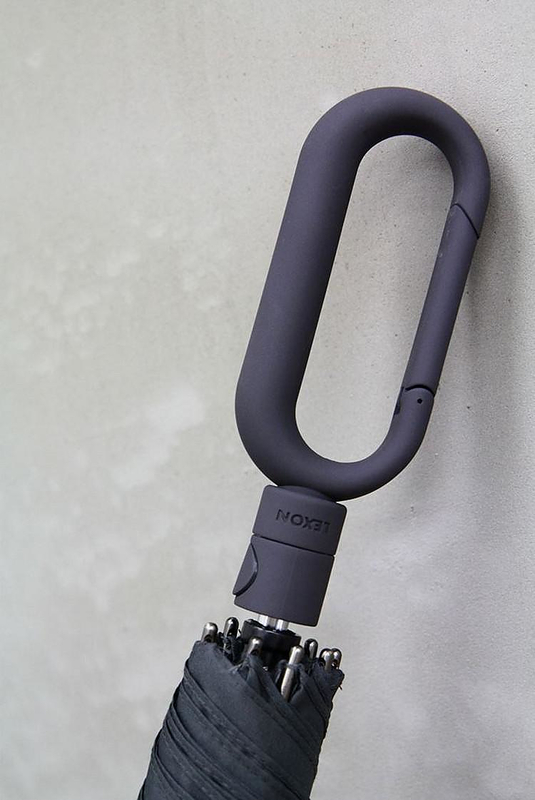 The hook handle offers unique convenience because of a clip mechanism which allows the user to slip his hand in the hook and hold tightly the umbrella. 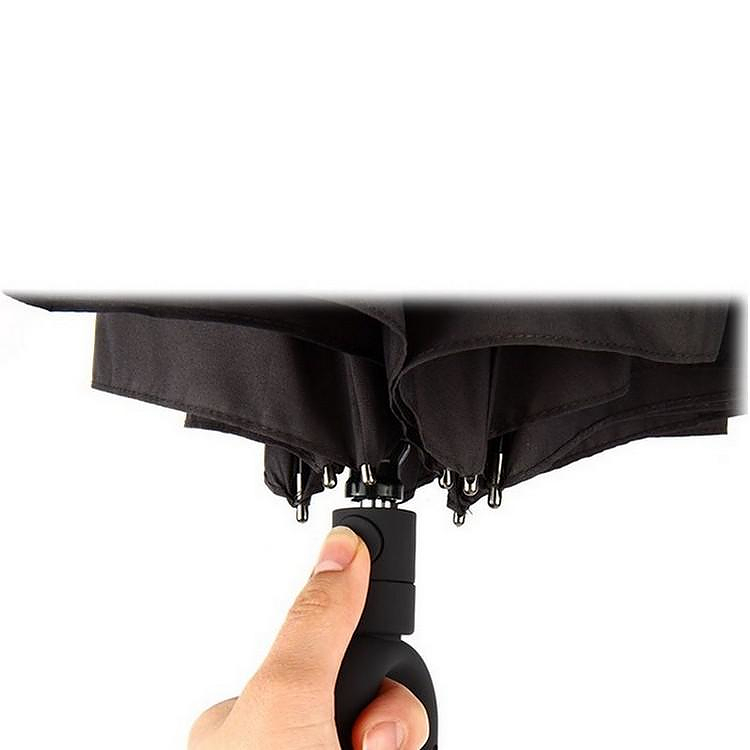 In addition due to the hook you can hang the umbrella from the lace of your bag, on your luggage, as well as on a usual hanger. 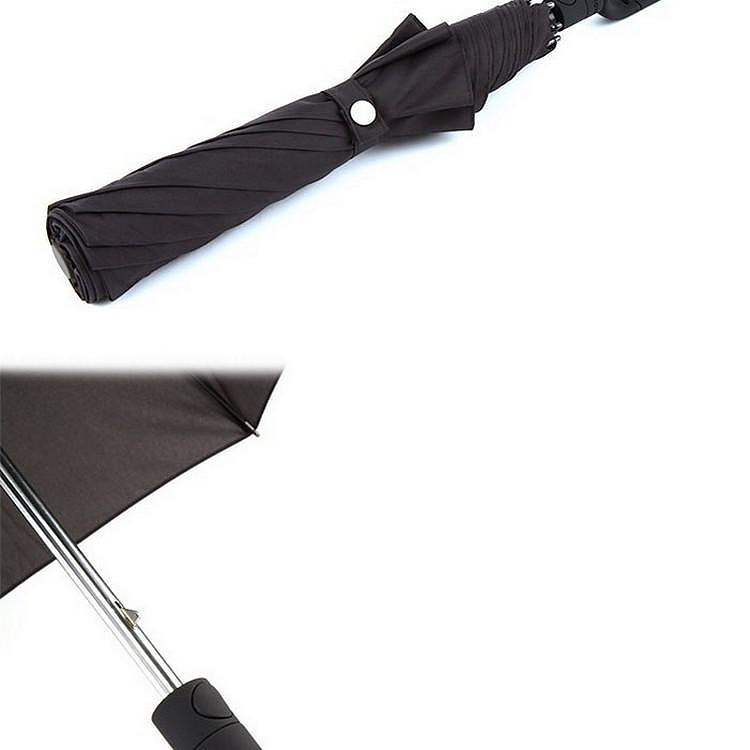 No more “somewhere I left my umbrella”! 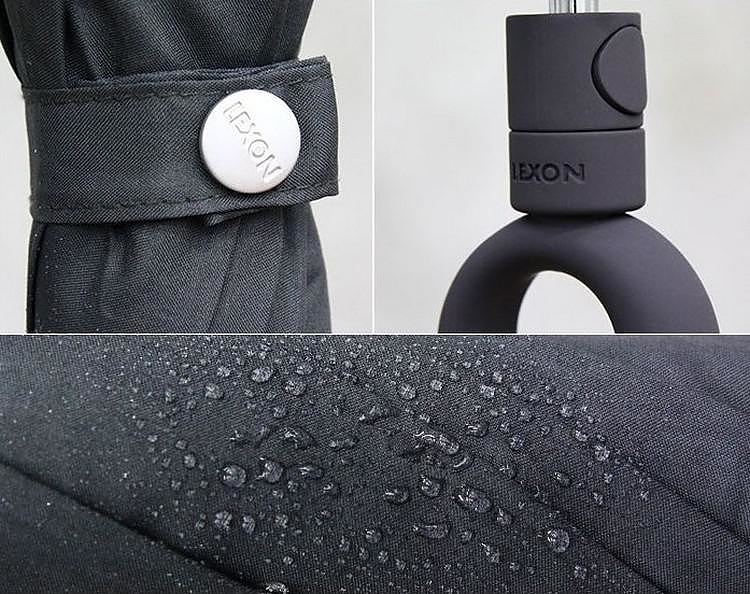 Founded in Paris by Rene Adda in 1990, LEXON reflects a commitment to the highest level of functional design, represented in a collection of unique consumer products that include accessories for the office, travel, sports, home, and for personal use. 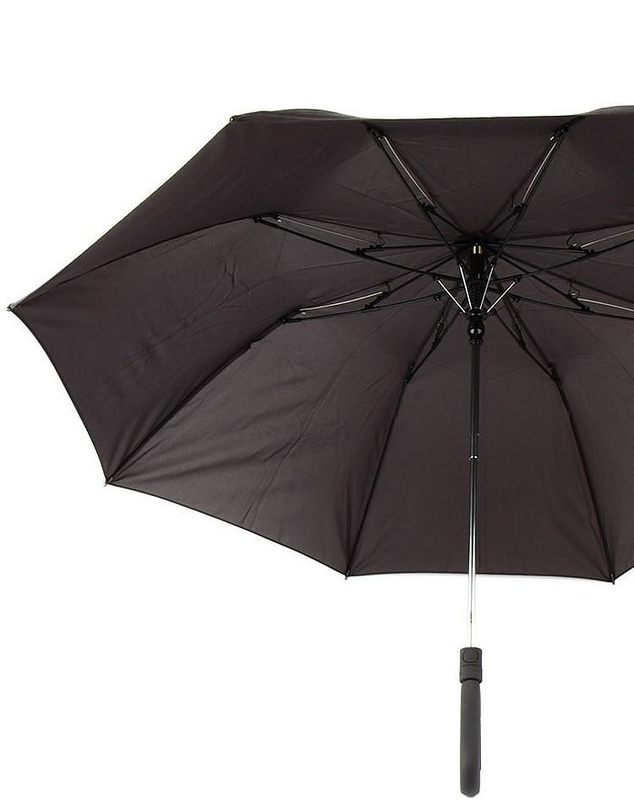 The emphasis is on design, quality, and value. 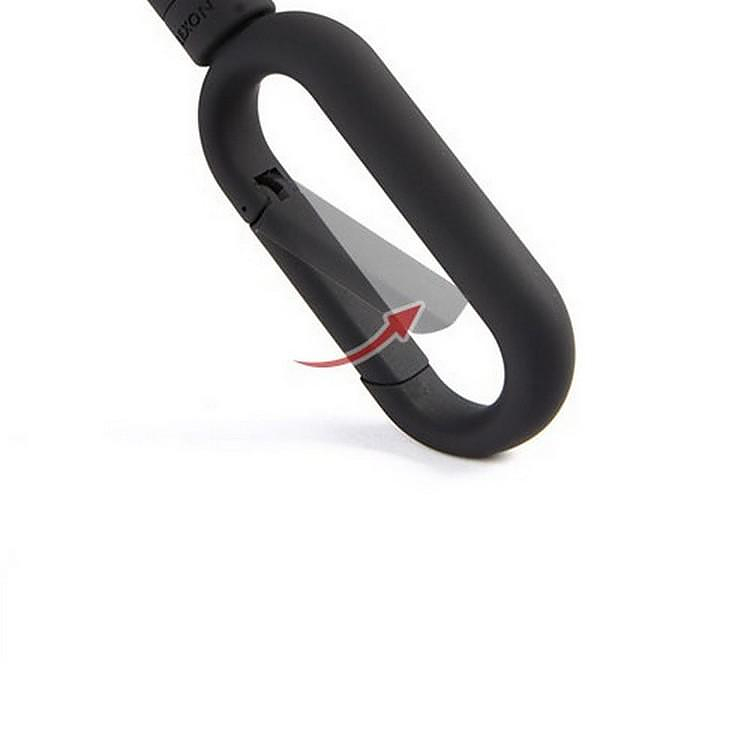 Diversity of technology and material, great signatures and inspiration, they all belong to a great family: senior and young designers meet at last. 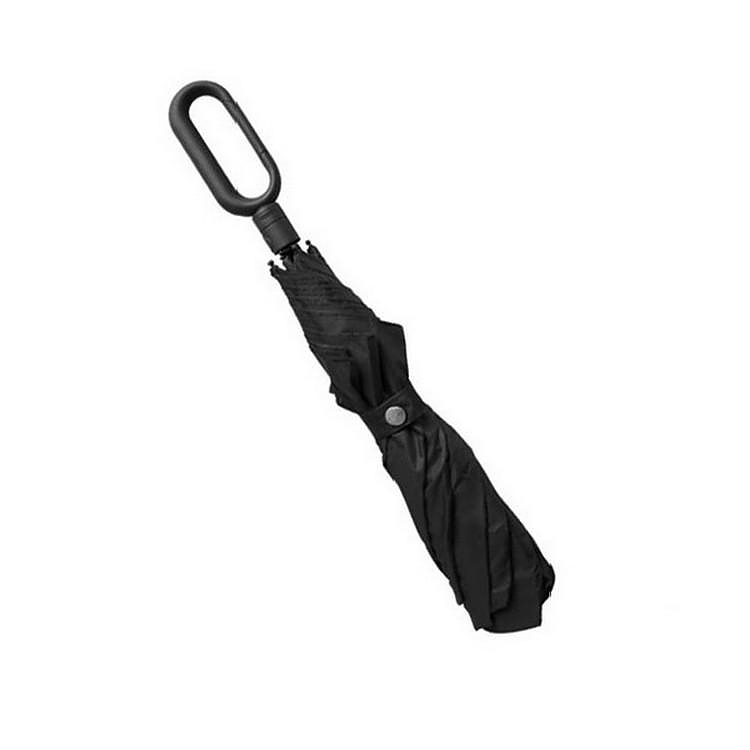 Every year, fifty-five countries and museums of Modern Art throughout the world reinforce LEXON’s insight.